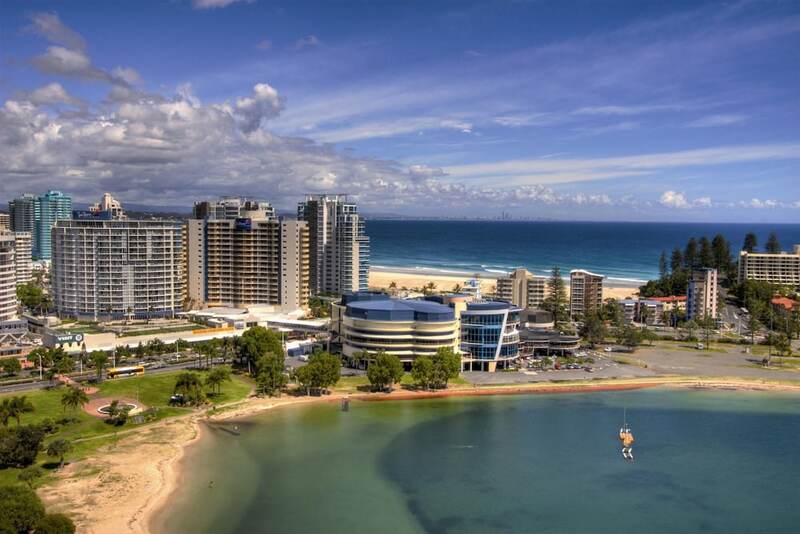 With a stay at Mantra Twin Towns, you'll be centrally located in Coolangatta, just a 4-minute walk from Coolangatta Beach and 11 minutes by foot from Kirra Beach. This 4-star hotel is 0.5 mi (0.8 km) from Greenmount Beach and 4.9 mi (7.8 km) from Currumbin Wildlife Sanctuary. Make yourself at home in one of the 314 air-conditioned rooms featuring refrigerators. Rooms have private balconies. Digital programming provides entertainment, and wired and wireless Internet access is available for a surcharge. Private bathrooms with shower/tub combinations feature complimentary toiletries and hair dryers. Dip into one of the 2 spa tubs or enjoy other recreational amenities including outdoor tennis courts and a sauna. This hotel also features complimentary wireless Internet access, concierge services, and babysitting/childcare (surcharge). Grab a bite to eat at Signatures Restaurant, one of the hotel's many dining establishments, which include 5 restaurants and a coffee shop/café. Quench your thirst with your favorite drink at the bar/lounge. Buffet breakfasts are available daily from 7 AM to 10 AM for a fee. Featured amenities include wired Internet access (surcharge), express check-out, and complimentary newspapers in the lobby. Planning an event in Coolangatta? This hotel has 33045 square feet (3070 square meters) of space consisting of a conference center and a meeting room. Free self parking is available onsite.